Large antique effect frosted mercury glass dark olive glass candlestick. Height 26cm diameter of base 10cm. Takes candles of 2.5 cm diameter. Beautiful hand made opaque mercury glass large candlestick in a beautiful rich olive green colour. 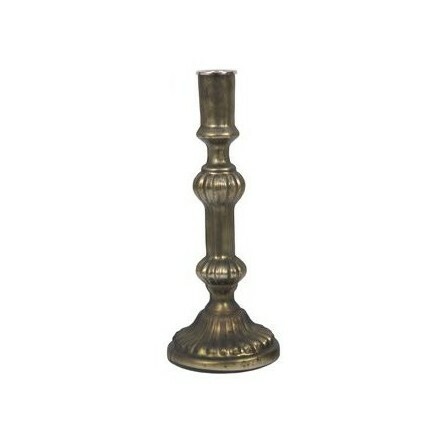 Mix and match with our small candlestick in the same colour or buy two of the same size as a matching pair. These elegant candlesticks look fantastic on the dining table or on the mantle piece!